I had this idea for making wall tiles that serve other purposes that mere decoration. 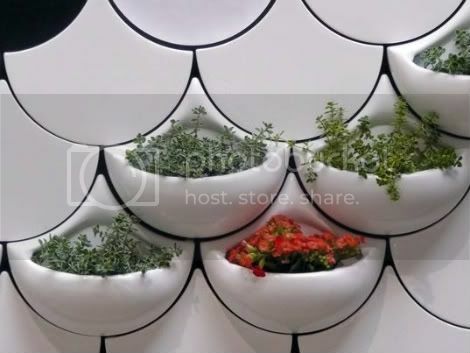 Here Maruja Fuentes takes a similar approach with her planter wall tiles. Waooo, I really love it, unique and stylish!! !